Here’s all you should know about this Adriatic Sea jewel from Ino Kuvacic, author of Dalmatia – Recipes From Croatia’s Mediterranean Coast. 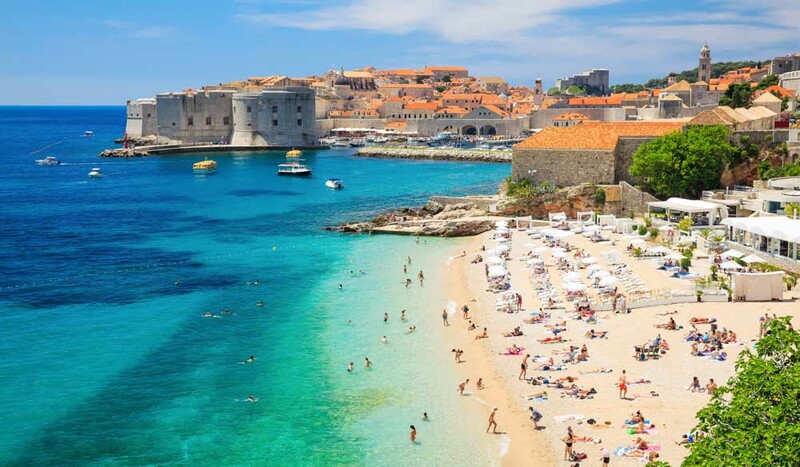 What is the one thing people should know about the Dalmatian Coast before visiting so they can get the most out of it? The Croatian coast has over 1000 islands and reefs and the Adriatic sea on the Croatian side is very clean and clear. In the summer, seawater reaches 25 degrees Celsius and it’s very pleasant to swim in – and, due to the high salinity and mineral content in the sea, it is very beneficial for your skin. The best beaches in Dalmatia are around the towns of Makarska, Brela and Tučepi. What are the three things visitors should do when they are there to see the best of Dalmatia? Dubrovnik, the town of Korčula and the Diocletian’s Palace in Split (Split evolved around this Roman palace of Emperor Diocletian, built in 305 AD; large portions of the 1700-year-old palace are still there, and Peristil, the main square of the palace is still intact) are just some of the places that I recommend visiting. Is there a sight in Dalmatia that only locals from these parts know about, and that visitors should search out? The Blue and the Green caves of the island of Vis are very popular destinations. There are daily speedboats tours from Split harbour that end with lunch at the historic town of Hvar. Locals eat at konobas, traditional Dalmatian eateries. Try ‘black risotto’, grilled calamari or fish; tripe is a local favourite. Also, Dalmatian prosciutto is as good as its Spanish or Italian counterparts. What is the one Dalmatian specialty that people would never have heard of that they must try when there? Peka is a traditional slow roast under the iron bell, that’s cooked covered with hot coals. It can be seafood (octopus with potato is my favourite) or meat (suckling lamb is magic). What is your favourite lesser known museum or attraction in Split? Next to the Temple of Jupiter in the city centre you’ll find the world’s narrowest street, called Pusti me da prođem – Let Me Pass Street – since only one person can get through at a time. The Ivan Mestrović Gallery, dedicated to the renowned Croatian sculptor, is a great place to visit if you like fine art. I recommend taking a walk through the forest of Marjan hill, on the western side of Split. Only 10 to 15 minutes’ walk from the city centre, you will find the best panorama of the city and islands from the Prva Vidilica lookout. What do you recommend doing for the perfect Sunday in Dalmatia? Catching a ferry to one of the islands around Split, spending a day at one of the many secluded beaches and having lunch in one of the local restaurants. What is the one thing visitors should take home with them? I love wines and Dalmatia has some of the world’s best. I recommend Pošip and Plavac as unique tastes of Dalmatia. And you can’t help but take memories of the crystal clear azure of the Dalmatian sea home with you.